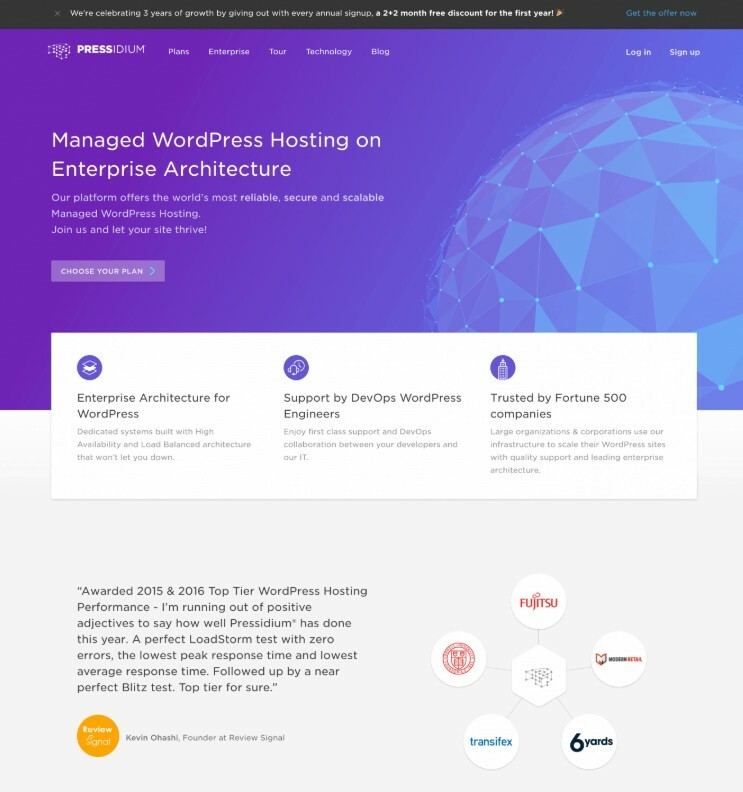 Best Managed WordPress Hosting 2019: Ranked and Reviewed! If you’re reading this chances are you’re looking to get a WordPress website so the first thing you’ll need a domain name and then a hosting service. Without it, you can’t possibly get your website up and running. A domain name is basically the name your business or brand will have on the internet and the hosting is the server that will host that business of brand on the internet. However, once you buy that domain and hosting you also have to spend time setting it up and managing it. Spoiler alert: Managing and setting up WordPress is going to take quite a bit of work and time. And you probably don’t have the time to manage your WordPress site nor the technical know-how to set it up properly. This is where Managed WordPress Hosting comes in! If you’re looking to save up on some cost and time then managed WordPress is just for you! It is a relatively new concept but one that will save you a lot of hassle and get your WordPress website running without much hassle in no time. In this article, I will be reviewing the Best Managed WordPress Hosting of 2019 and diving into the important bits as to what it is and why it can be a good fit for you! 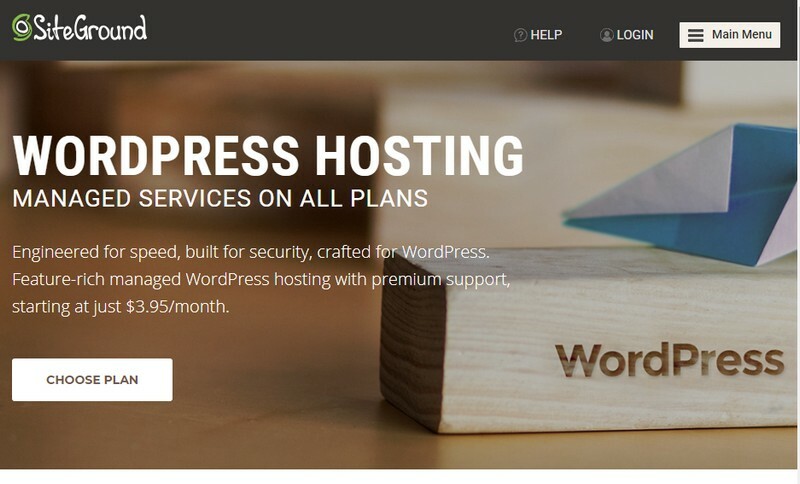 What is Managed WordPress Hosting and what is it suitable for? Who is Managed WordPress Hosting best suitable for? What Managed WordPress Hosting should I get? If you’re in a hurry and looking to get into Managed WordPress hosting service then have a quick glance across my comparison table. It’s got all the metrics to decide which one is right for you. Further details are available on their website but if you keep reading I will go through each hosting provider in a bit. Starter $30/mo. 5GB 20k visits/ mo. Personal $29/mo. 10GB 25k visits/ mo. StartUp $3.95/mo. 10GB 10k visits/ mo. Tiny $14/mo. 5GB 5k visits/ mo. Managed WordPress Hosting is basically a special hosting service for WordPress. It is where all the “technical and boring stuff” of running a WordPress website is managed by the hosting providers. This is good because it frees the webmasters from having to spend time on the technicalities so that they can completely focus on the more important stuff like building a website and creating good content for their visitors. All the essential technical aspects of a WordPress website like security, speed, performance, backups, caching, software and plugin updates etc. are handled by the hosting company. Also, the hosting back-end looks much simpler and are highly intuitive and kind of “dumbed down” to make it super easy for the webmaster to easily understand and manage the website. Managed WordPress hosting is actually a pretty new concept to the web hosting community. It actually developed later with the ever-growing popularity of the WordPress platform. It is aimed at the growing number of WordPress users and offers a simple and hassle-free hosting solution for WordPress. With Managed WordPress hosting, you get the benefit of fast performance, good security as well as good email stability and control. Thus, because of this, most of the managed hosting services tend to cost more than what a typical shared hosting would usually cost. However, if the time and convenience you save are being invested in something more productive that could mean more content, traffic, and ultimately more sales! So it actually pays to get managed hosting. It is more suited for companies or websites that experience a large traffic and already have a bunch of daily users! Moreover, it’s an incredible opportunity for non-tech-savvy people to start a WordPress website without much fuss and hassle. With a guaranteed 24/7 dedicated support from experts, a managed WordPress hosting is definitely a great evolution that is increasingly starting to make more sense. Most of the Managed Hosting plans are actually priced quite low as it’s still relatively new so you should definitely take up managed hosting if you can afford it. You definitely do not want to miss out on this. Kinsta is an extremely fast Managed WordPress Hosting solution that is powered by the Google Cloud platform. Server-level caching powered by the Google Cloud Platform giving your WordPress website a competitive edge in terms of performance over competitors. 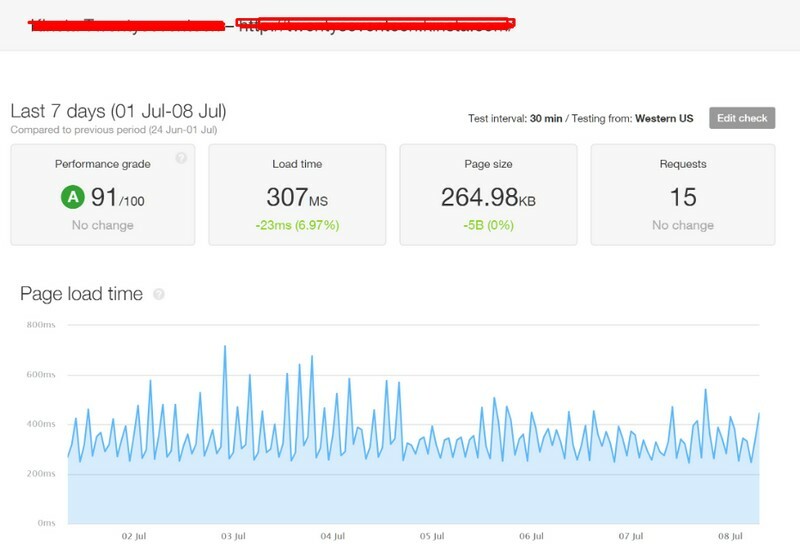 A dedicated support team of experts available around the clock so that you can rest assured that your site is monitored every minute of every day. At Service charges starting at $100 per month for their Business plan, Kinsta is definitely on the pricier end of the spectrum. Who is Kinsta suitable for? Kinsta is definitely not for those looking to compromise on hosting quality and save a few bucks. It is for those that don’t mind paying a premium to get only the best performance and Managed WordPress experience on their website. Kinsta hosting being powered by Google Cloud Platform gives it a competitive edge over others. It features LXD containers, automatic scaling, SSH access, PHP 7, WP-CLI automation, and Git. The hosting provider also offers an in-built server-level caching solution which will speed up your website more than any other competitor on the market. Having a WordPress management service is all about efficiently managing multiple websites without having to deal with the nitty gritty and Kinsta has quite frankly nailed it. 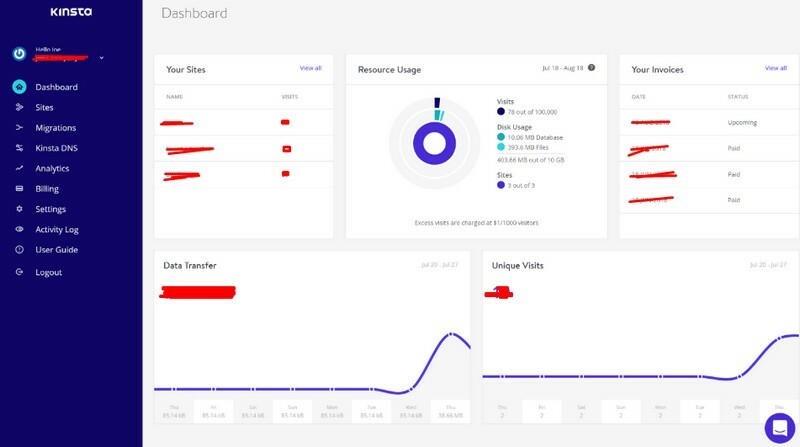 In fact, Kinsta has it’s own custom dashboard that is quite intuitive and easy to use for managing all your accounts. Using the My Kinsta portal you can easily navigate through various areas and also have the ability to perform tasks such as creating new WordPress websites, updating plugins you’ve installed on your site and managing the backups. There is also an option to view resource usage stats to see how much of your plan allocation you’ve consumed, and also a handy dashboard to website visitor analytics right on the dashboard. All in all, you’re looking a dashboard that has all the necessary elements to manage your WordPress websites in one place. But Kinsta is above most of its competitors in this field as it delivers the levels of performance that exceeds most people’s expectations. In fact, the above picture depicts the load time of a Kinsta managed website using a light-weight theme is less than one-third of a second! This is faster than most competitors. When you are shopping for a high quality managed WordPress hosting service one of the drawbacks is definitely the expensive pricing. However, with Kinsta, you can find a plan that is suitable for you even if you are an entry-level, beginner blogger at simply $30 which allows 20K views a month. Starter: At $30 per month for one WordPress install, bandwidth up to 20,000 visits, and storage up to 5 GB disk space. Pro: $60 per month for two WordPress installs, bandwidth up to 40,000 visits, and storage up to 10 GB disk space. Business plans: Starting at $100 per month for three WordPress installs, bandwidth up to 100,000 visits, and storage starting at 15 GB disk space. Enterprise plans: Starting from $600 per month for 60 WordPress installs, 1,000,000 visits, and 80 GB disk space. Pro Tip: Paying annually gets you two months free including free Let’s Encrypt SSL and CDN access. 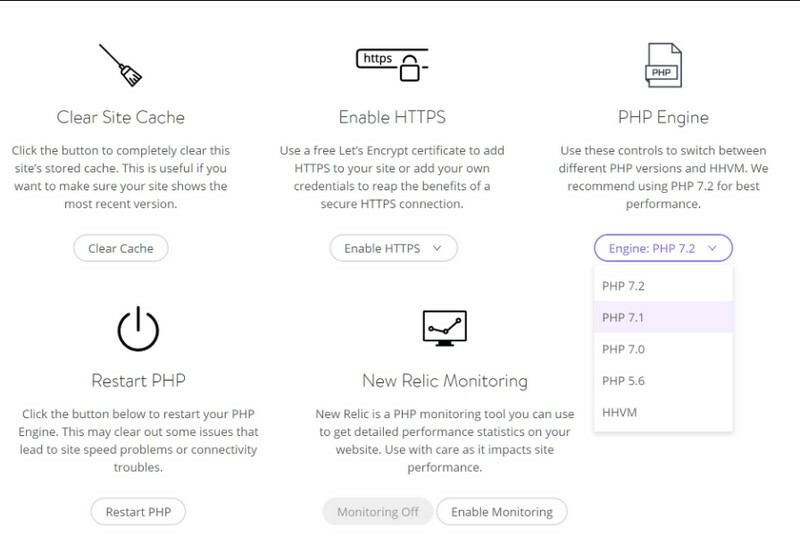 For Developers, there is are nifty tools like PHP version switcher, easy restart of PHP engine and access to new Relic PHP monitoring. There’s also a search-and-replace feature that’s accessible from the Kinsta dashboard for making changes quick contents of the database of your WordPress website. 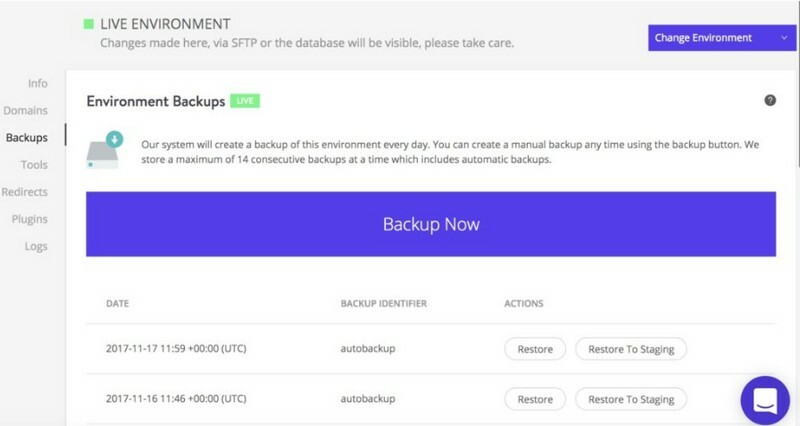 As mentioned, automatic daily WordPress website backups are part of the service at Kinsta. Automatic backups are kept for a minimum of 14 days on the entry-level plans, and longer on the higher plans. Restoring backups is easy, with the option of deploying them to your live site or the test environment. In fact, you can just reach them out using their express chat option and within a few minutes, the issue should be resolved. If you want a bit of everything then Kinsta is just for you. It is a blazing fast managed hosting solution built with the finest infrastructure that also offers a premium quality hosting experience and service to its customers. Overview: WP Engine is a major player in the web hosting service business. I bet WPEngine is probably a name that you have heard before this is because they provide some of the best services are honestly the best web hosting service out there. Extended 60-day money back guarantee. One click Site staging included as a standard feature. Automated site migration plugin makes it super simple to transfer your WordPress site over to the WPEngine servers. Does not offer traditional hosting services meaning you can’t register for a domain name or upload a Linux or Windows-based or non-WordPress website. You can find a perfect hosting service from managed, dedicated or cloud WordPress hosting services be it for a simple blog or a complex website for your brand or company WP engine will fulfill your requirements perfectly. They even have an in-house caching technology for massive scalability and speed. Who is WP Engine suitable for? Getting managed WordPress hosting is a serious investment which is why I prepared a table that is demarcated into SBO, Web devs and General WordPress users that will tell you if WP Engine is for you. WP Engine’s GeoTargeting to deliver custom-tailored content and actions based on a user’s location. This is best suitable for beginners or small business owners who are just starting out. It supports one WordPress site, comes with up to 10GB of storage, and can handle about 25,000 visitors every month. This plan is for those with more than one website. 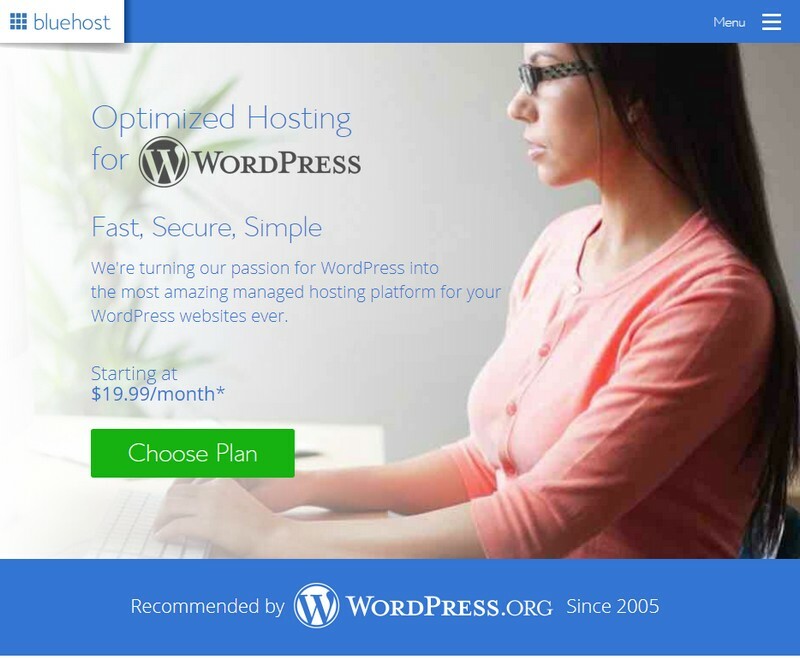 It lets you install more than 5 WordPress sites on the Growth managed hosting plan. You will have up to 20GB of storage and a bandwidth of up to 100,000 monthly visitors. This is for more advanced users and lets you manage 15 or more WordPress installations. You’ll get up to 30GB of storage and has the perfect bandwidth to handle the traffic of 100,000 – 400,000 visits every month on your websites. These plans are most suitable for higher traffic websites. The Premium plan runs on completely dedicated servers and the Enterprise plan runs on a dedicated cluster server. They can handle over a million monthly visitors every month and you can use them to manage about 150 WordPress installations (and more). The Storage ranges between 100 GB to 1TB for both enterprise and premium plans. This acquisition is HUGE because now all WPEngine customers can access StudioPress Premium WordPress Themes as part of their account plan. This ALONE should be a reason to get WP engine because it’ll save you so much time and money rather than having to buy this separately. 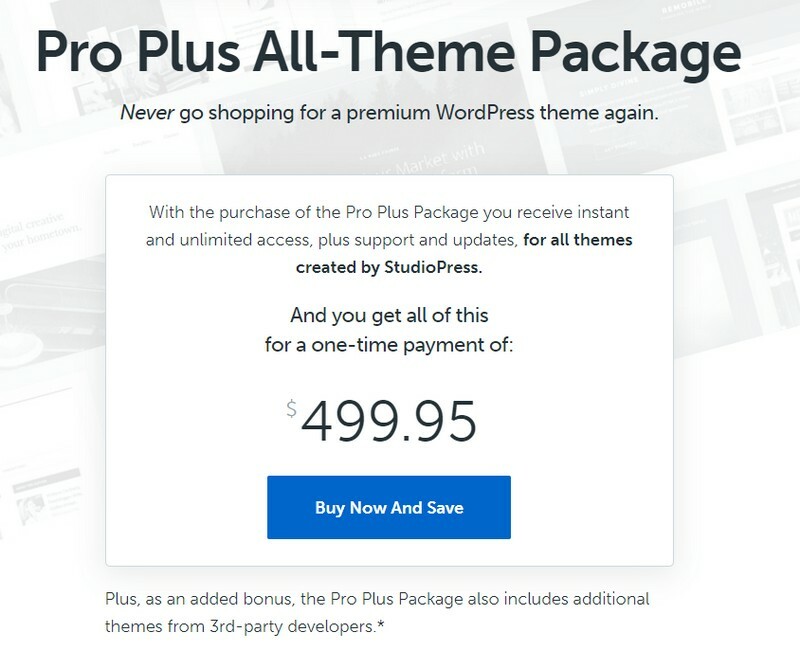 In fact, the StudioPress themes you’ll get for FREE with WPEngine are actually sold as a Pro Plus All-theme Package by StudioPress for $499.95! Moreover, StudioPress is one of best themes you can use today and I’ve used it myself on all my websites and highly recommend it for anyone looking for a turnkey website solution with clean SEO-friendly code. When it comes to a WordPress site there are definitely many shared hosting options to choose from. However, there are important, key advantages of using a WordPress-specific hosting plan such as WP Engine. Good customer Support: With WPEngine you’re looking at customer support that’s better equipped to handle your problems. A Staging environment: Spot mistakes before your customers are able to find them. To ensure the best performance is delivered when it comes to site speed WP Engine has optimized page load using their proprietary WordPress-specific EverCache system. You also get CDN which is a content delivery network that will help your website load fast for customers all around the world by serving it to them from the network node that is geographically closest to them. You also get a solid uptime over 99% due to their finest world-class network infrastructure. They have data centers in London, Tokyo, and the midwest USA. A lot of the users who will be opting in for managed hosting service will definitely need support to help them with the technical stuff. Although the service is “managed” it helps to have a go-to source to solve issues and WP engine has a great repository of helpful documentation and experts to help you in your queries. WP Engine’s help center is quite intuitive with a whole multitude of support options to choose from supporting documentation, live chat, webinars, blog posts, updates, tutorials, and knowledge repository. WP Engine’s longer than a normal 60-day money-back guarantee on all their subscription fees and plans unreal in the hosting industry. It enables you to try out their world-class service in a totally risk-free way. Basically, you can reclaim your subscription fees via a simple process. Note: If you are opting for custom hosting plans the 60-day option is not available. So all in all WP Engine offers a good level of security that a managed WordPress Hosting should offer. Add to that a few extra features like website staging, loading content based on GeoIP targeting, and strategic account management and you’re looking at a really sweet deal. The company’s visitor and data caps, as well as lack of traditional hosting services like domains and emails, keep it focused solely on WordPress, which is what their core competency is so you know you are hiring an expert service rather than a general one. This makes WP Engine a better option than most of the competitor shared hosting providers. If you’re on the lookout for a more robust hosting experience specifically for your WordPress website you really cannot go wrong with WP Engine. 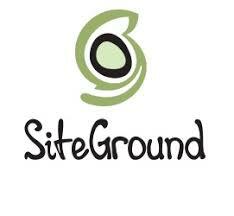 SiteGround support is the hands down the best and super responsive. But you should know that their priority support won’t be available in their Startup plan. Also, you won’t get access to their premium caching solution & One-click staging on the Startup plan. So if you are looking for all those features, go with the GoGeek plan. convenient automated installation, caching and staging features at a budget. Pre-installed Git, WP-CLI pre-installed, and also offers WordPress website migration at no extra cost. The security team is very diligent when it comes to the security, they have followed account isolation policies, regularly patch any security exploits instead of just sitting back and waiting for a security release to come out. Who is SiteGround suitable for? SiteGround is great for those who don’t have the funds to spend on the more premium hosting providers. Although budget SiteGround provides a unique WordPress security and speed solution at an affordable price. Like other hosting providers Siteground offers most of the premium hosting features such as free WordPress installation, free domain registration, express support, free WordPress Website migration, email logins and a lot more for just $3.95 per month! 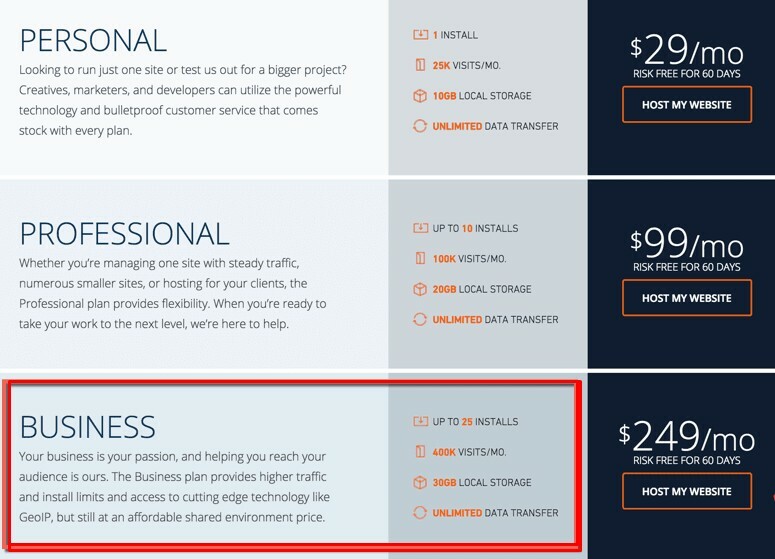 What’s unique about Siteground is that they keep their pricing super low although they offer similar features as most premium options. For as low as $3.95 a month you can manage a <10k website and have all the essential WordPress features for automation and management. One of the main reasons people opt-in for managed WordPress hosting is because they want the technical stuff to be “managed”. However, this isn’t enough issues can occur so you definitely need someone to help you out if you do run into one and there’s no one better than Siteground. In fact, Siteground is the best known for its customer care and support. 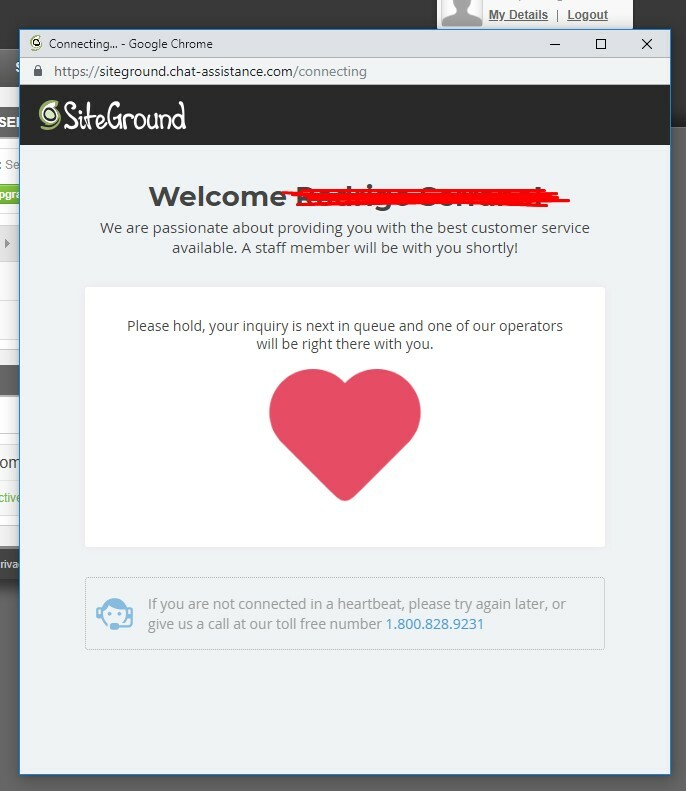 In fact, I have had plenty of issues resolved in minutes because of the quick responsive support from Siteground. A few days back I had a technical issue with my WordPress website and was told that the technical team would look into this however instead of this taking 2 hours I received a response within a few minutes and my issue was resolved in no time! The verdict: If you’re on a budget and still want something actually works well then Siteground is definitely for you. For only a couple bucks a month you will receive good support and hosting of extremely high performance. 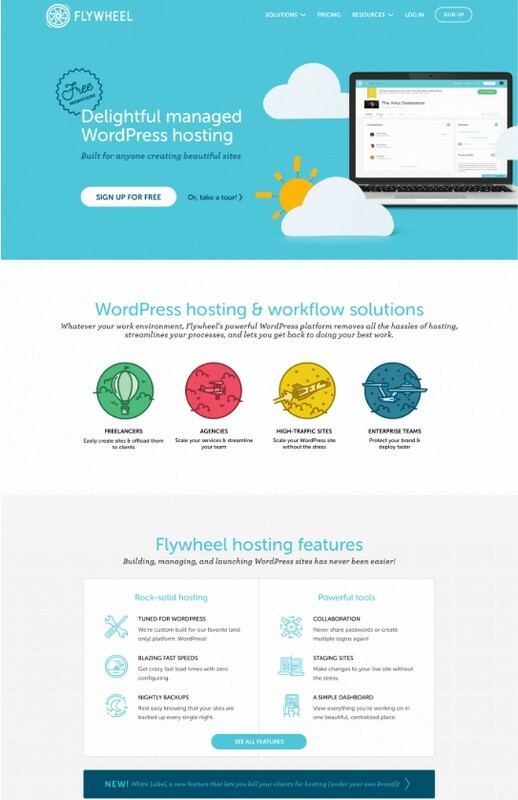 Service Overview: Flywheel is definitely another good Managed WordPress hosting service that provides reliable fast speeds, solid performance, and great support. Basically, everything that is needed to keep your WordPress site running smoothly. In addition, Flywheel makes it simple and easy to build a website from scratch using its free demo sites and one-click staging features to facilitate the development of your site. Flywheel is also built on a fine robust network infrastructure that is optimized for maximum speed, scale, and security. Their pricing plans are rich in features and you also get the option to get your website migrated for free along with auto backups and automatic WordPress Plugin updates, built-in caching, CDN integration, SSL support and much more! They also have a decent 30-day money-back guarantee. Flywheel’s cheapest managed WordPress hosting plan is $14 per month. Handles the entire process of migrating your website for free. Regardless of how many websites are included in your account, Flywheel allows you access to all of them from one dashboard. All sites under Flywheel get their own dedicated IP addresses. Unlike most WordPress hosts, Flywheel comes with email accounts. Flywheel automatically backs up all your files every night and stores them in a secure location off-site. One-click staging feature that allows you to test out changes and new designs before installing them onto a website. Makes it easy to white label so you can build site and host sites under your own branding. Easily scales as your site grows. Flywheel is not the most versatile company as it has a few plugins it does not allow on its servers for security reasons. Not one of the most affordable hosts. Designed for WordPress, so not a good option if you aren’t using WordPress. Who is Flywheel most suitable for? Flywheel is a GREAT option for developers, designers and digital marketing agencies due to its friendly staging environment and features like Collaboration function. Moreover, the entire interface is designed with developers, designers in mind. If you have a website that requires a bit of customization you’ll definitely have more than one person working on the project and flywheel make it easier to manage and delegate work between teams. Flywheel has a special client billing transfer function that lets you create websites for someone else onto your account and then transfer the website along with the billing for the website over to the client when you have completed the project. While other hosting services offer 30-day money-back guarantees and free trials period. Flywheel also provides free demo sites to individuals looking to find out if managed WordPress hosting is a good fit for them. With this demo service, you can create several test websites and try out the various features before even purchasing the plan! There is absolutely no billing information required so you will not be obligated to sign up for a premium plan later. The demo site is also great for website developers and designers. It allows them to create websites and work on the designers before going live with their website. Note: The demo sites are not billed until they go live! So no charges will be incurred until you actually commit. The flywheel has a dedicated team of experts to help you with all the queries you have. 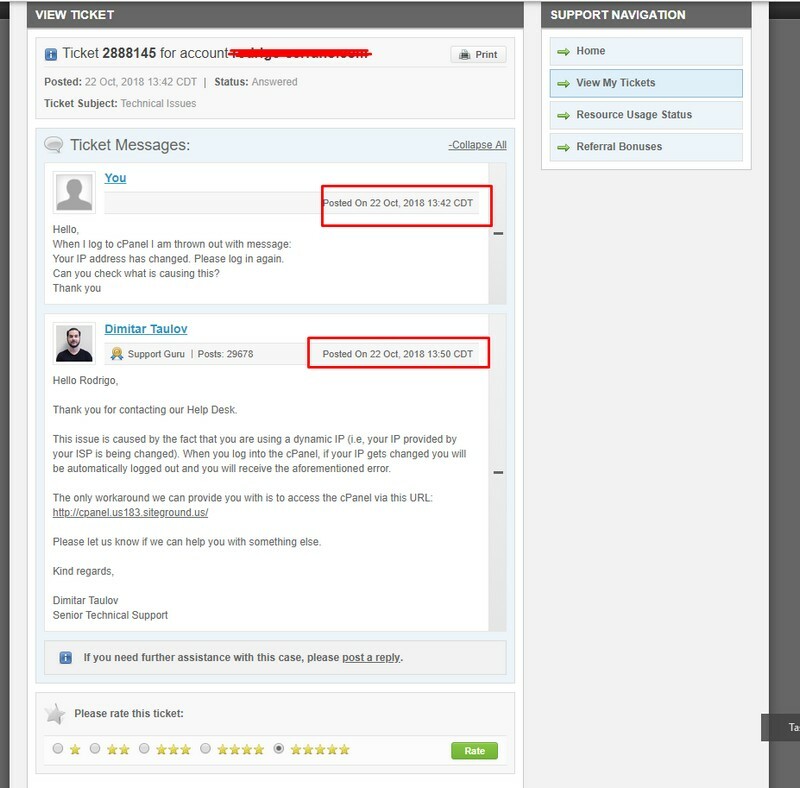 You can reach customer support through phone, email, and support ticket system. You can even send a tweet for help when you need it. Helplines are also open 24/7 so you can get quick access to the customer support team even during odd working hours! Although Flywheel doesn’t offer uptime guarantee like the other managed web hosting services, this web host’s performance definitely one of the best in the industry. According to thousands of users and reviewers who have tested Flywheel’s performance and uptime using reliable website tools such as Load Impact, the company’s lifetime uptime score ranges in between 99.99 -100% while the performance remains stable even when under intense or peak hours. Flywheel has certainly designed its management dashboard with web designers and developers in mind, making it easy for you to collaborate with others, manage your site, and handle the nitty gritty of your websites’ back-ends. Moreover, you will not have to give out your password or create multiple accounts and logins like most people usually have to do! Simply add in a list of “Teammates” through the collaboration function and you’re all set! The added teammates will automatically receive access and be able to manage the site, add files, or carry out any other management-related operations at will. You can also revoke access once their work is done, and get your website back to only being accessible to you. One of the main elements of a good hosting service caching and its ability to speed up website load times. Flywheel features a completely built-in caching system solely designed for that purpose. The caching system enhances server performance and reduces download times, which means your website will run quite smoothly with blazing fast load times without you having to seek out additional caching services or plugins that cost more. Fun Fact: Thousands of Flywheel users have even reported experiencing load times of 3 to 6 seconds for complex data intensive websites. Flywheel has certainly designed its management dashboard tailored to web designers and developers in mind. It is quite easy for a team to collaborate with each other, manage sites, and handle the nitty gritty bits of a websites’ back-ends. Service Overview: Bluehost is a reliable, fast and secure managed WordPress hosting at a reasonable price. The basic scheme allows for 100 million visitors per month and includes specs of 2GB RAM, 30GB storage, and an extra 30GB backup storage! Along with that you also get an enhanced cPanel, 24/7 support from experts, and the ability to manage up to 5 WordPress sites for added convenience. Security is top-notch, as well, and comes with SiteLock CDN and PRO. Premium features like CDN and SiteLock security, VPS, and includes ManageWP for convenience. Plans don’t include as many features and don’t scale up as high for the larger developer needs. Bluehost has come a long way as in 2016 their speeds were quite satisfactory. However recently they’ve upgraded the Blurock server park which results in average speeds of 400-420ms. Bluehost is one of the more popular hosting companies in the world and is officially recommended by WordPress as well. Add to that the low introductory prices and you’re looking at really good WordPress management option at a decent price. Service Overview: Pagely is a managed WordPress hosting that is well-known for its security. The company focuses on providing the finest security and quick loading websites. It also has a number of nifty features like automatic WordPress software updates, plugin updates, daily website backups, and a custom PressArmor WordPress security config that will keep the bad guys out and your site safe for sure! Feature-rich, security-focused managed WordPress hosting with an open attitude toward plugins and themes. PRESSCDN and varnish caching for quicker site load times. Who is Pagely suitable for? Pagely is great for those that are looking to get a more than the usual level of security for their websites. It isn’t cheap by any means with pricing starting at $499/month but for the level of security you receive in return, it is an option you can definitely consider. If you absolutely can’t afford a downtime or need a hosting with minimal downtime then Pagely is perfect as it promises 100% uptime and has maintained this so far. Pagely is one of the most secure Managed WordPress hosting in the world that uses some of the finest technology to render extremely fast and high performing websites. 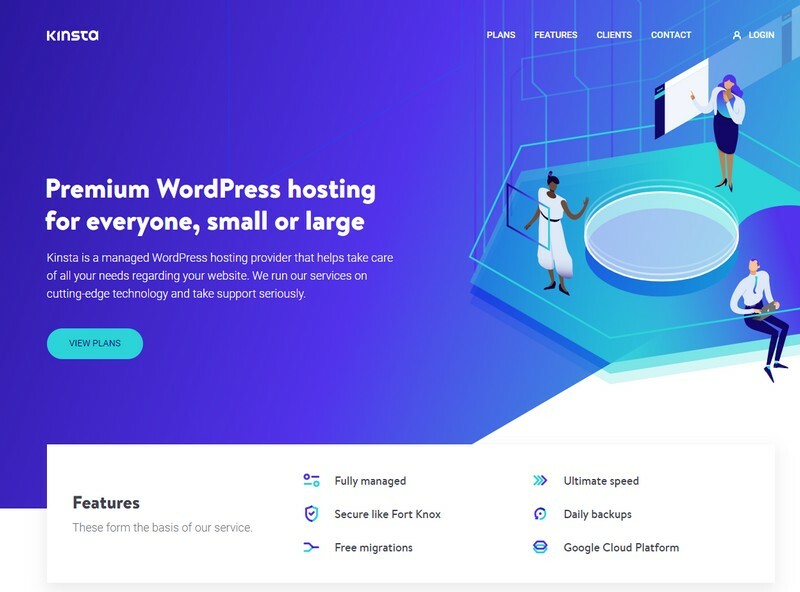 Service Overview: Pressidium is a hidden gem in the managed WordPress hosting space with various plans that are hassle-free, lightning fast, secure with some of the finest technology infrastructure. The greatest benefit with Pressidium’s lies in their state of the art infrastructure, which happens to be top-notch in the market. This infrastructure is generally made up of several amazing micro-features, the best among which is a multi-tier 5-layer caching platform that enables the implementation of many layers of security, load balancing and caching of systems because of which Pressidium clients enjoy fast access to content, database query results, PHP objects and more. Cloud-based hosting that features SSD storage with infinite storage nodes. If you have a couple of e-commerce websites it will be super-easy to manage with Pressidium and the WooCommerce WordPress plugin. WooCommerce is a great e-commerce solution that works perfectly with Pressidium as it is covered by the hosting company’s adaptive caching strategies. This means that your e-commerce store will load much faster which helps ensure a better user experience with high-end security features. Pressidium WP managed hosting provides everything you need to successfully manage as well as optimize your WordPress websites to the next level. Their intuitive top-notch architecture and security, reliable uptime, and high speeds will equip you to start-up your website to online stardom without having to worry about downtime, slow sluggish speeds, and incompetent customer support. Which Managed WordPress Hosting Do I Pick? To be quite frank this is a tricky question to answer as all the mentioned Managed WordPress Hosting plans are good and bad in their own way. For instance, Kinsta is highly recommended but if you have projects that require people constantly working on it that you’re better of with Flywheel. At the end of the day, it all comes down to what Managed WordPress Hosting works for you. Investing in a good managed WordPress hosting is not a joke so make sure you read through each of the WordPress hosting features and make a well-informed decision.